Before he was Hammerin’ Hank, Henry Aaron was a young boy growing up in Mobile, Alabama, with what seemed like a foolhardy dream: to be a big-league baseball player. He didn’t have a bat. He didn’t have a ball. And there wasn’t a single black ballplayer in the major leagues. But none of this could stop him. In a captivating biography of Henry Aaron’s young life, Matt Tavares pays inspiring homage to one of baseball’s all-time greats. 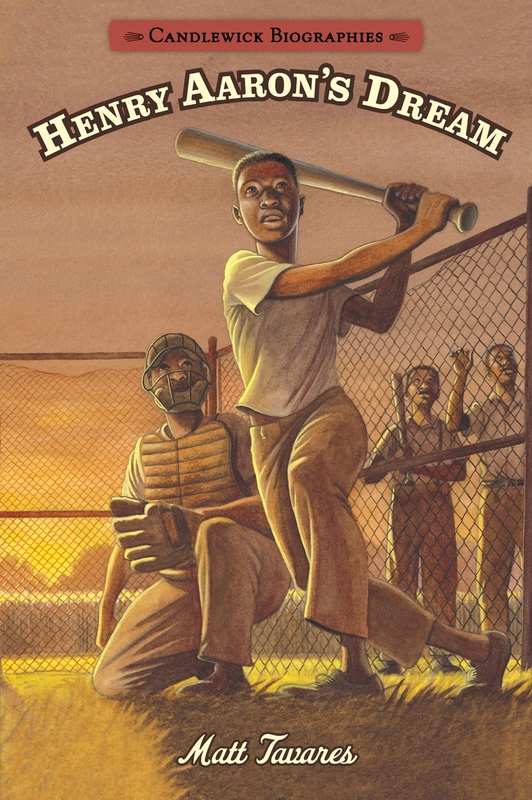 Matt Tavares is the author-illustrator of Crossing Niagara, Henry Aaron's Dream, There Goes Ted Williams, Becoming Babe Ruth, and Growing Up Pedro, as well as Zachary's Ball, Oliver's Game, and Mudball. He is the illustrator of 'Twas the Night Before Christmas, Over the River and Through the Wood, Lady Liberty by Doreen Rappaport, The Gingerbread Pirates by Kristin Kladstrup, and Jubilee! by Alicia Potter. Matt Tavares lives in Ogunquit, Maine.